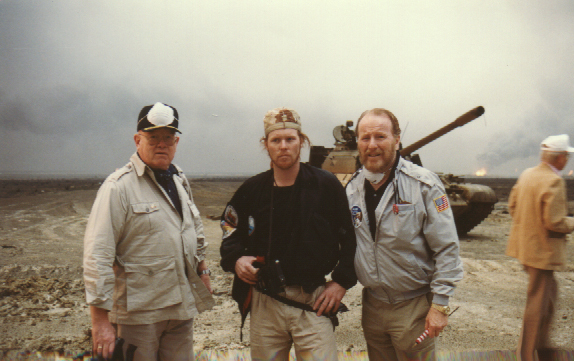 Below are photographs of Congressman Bob Dornan's visit to Kuwait after Operation Desert Storm. 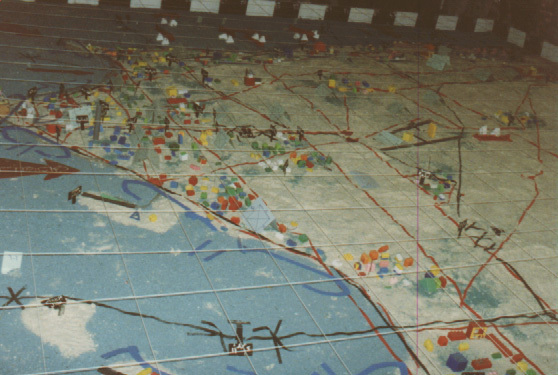 Iraqi soldiers used Logos® for strategic planning on floor map. 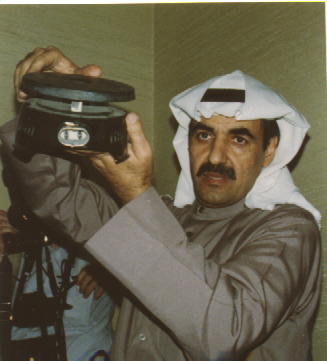 This soldier demonstrated a hot pan used for torturing Kuwait citizens. 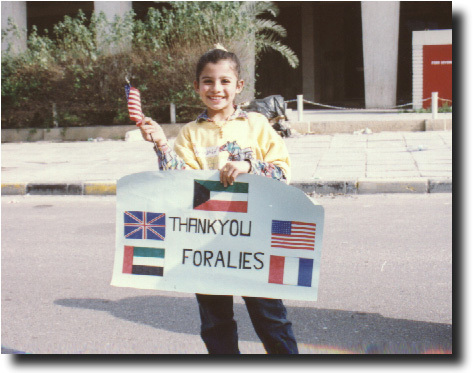 Here a Kuwaiti soldier viewed photos Iraqi soldiers kept as trophies of their tortured Kuwaiti victims. 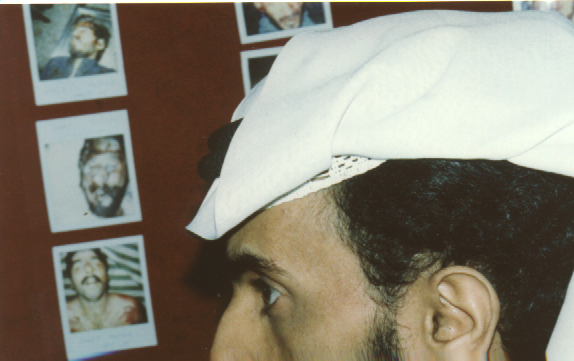 Congressman Bob Dornan viewed these photos of torture victims, the reason for US intervention. 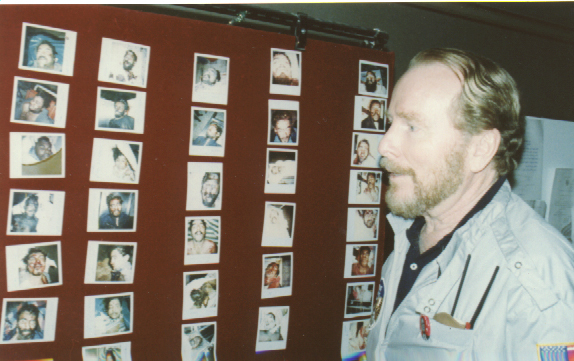 Here Congressman Bob Dornan, with his son, Mark. 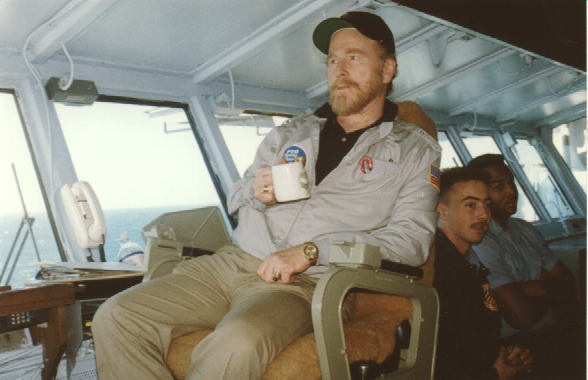 Bob Dornan is one of the few Congressmen who voluntarily pay for any family members on Congressional trips without providing them with titles to bill their trip to the taxpayers. 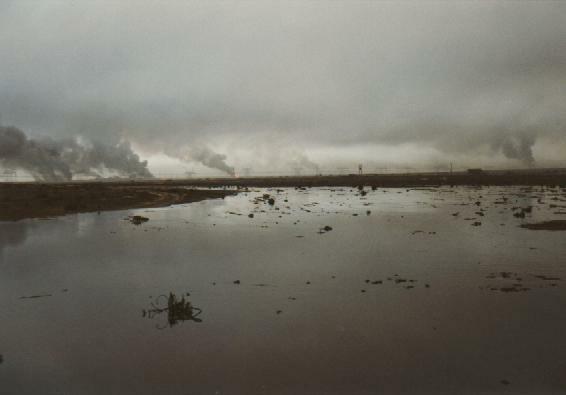 A lake of oil left by Iraqi soldiers. 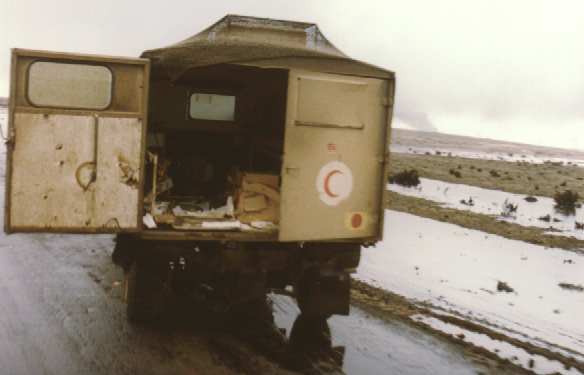 A bombed out ambulance truck. 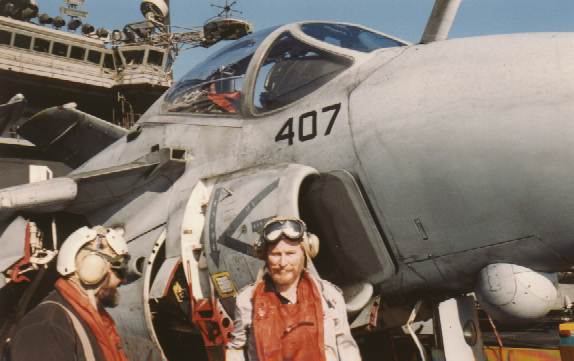 Congressman Bob Dornan on board the USS Ranger. 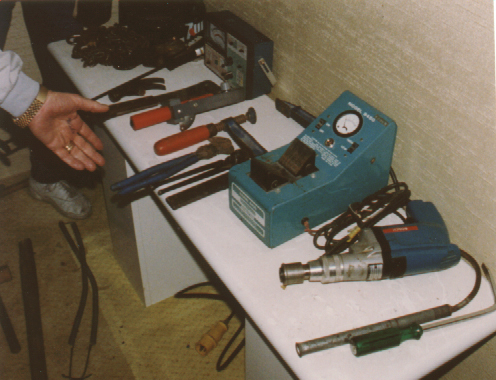 Torture devices used on Kuwait victims by the Iraqi soldiers. 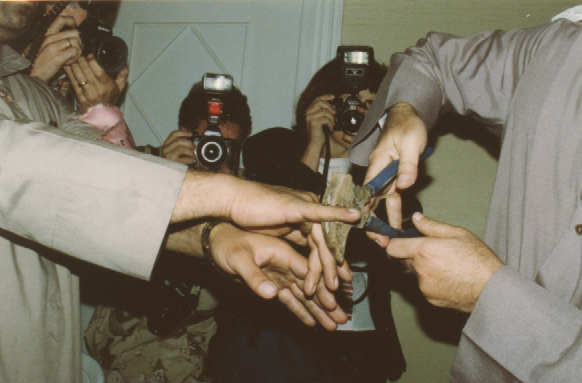 One more torture device used by Iraqi soldiers. 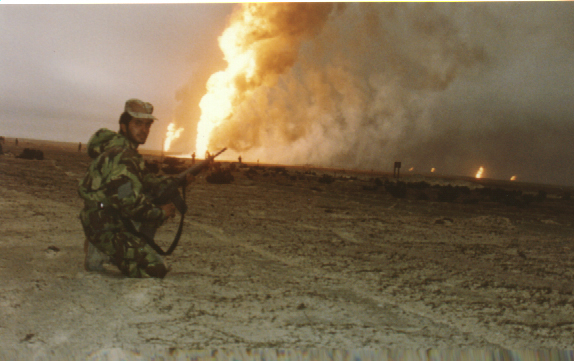 Oil fire left by Iraqi soldiers. 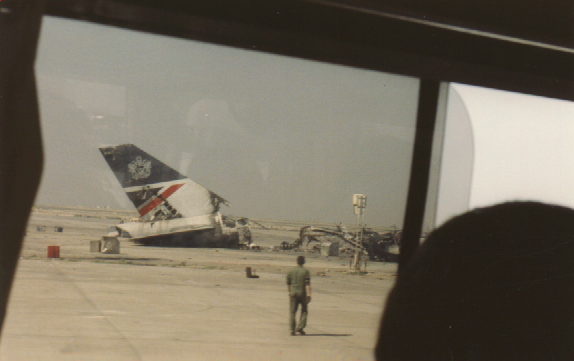 This is what was left of an aircraft bombed by Iraq. 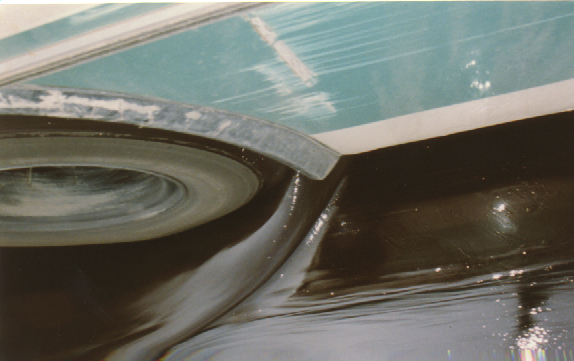 Here, pools of oil flooded the road which needed to be driven through to get across the oil fields. 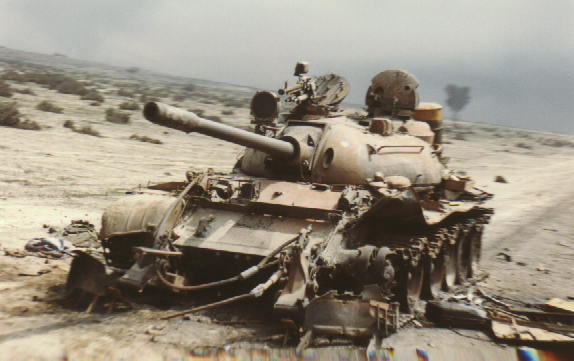 A bombed out tank was left behind. 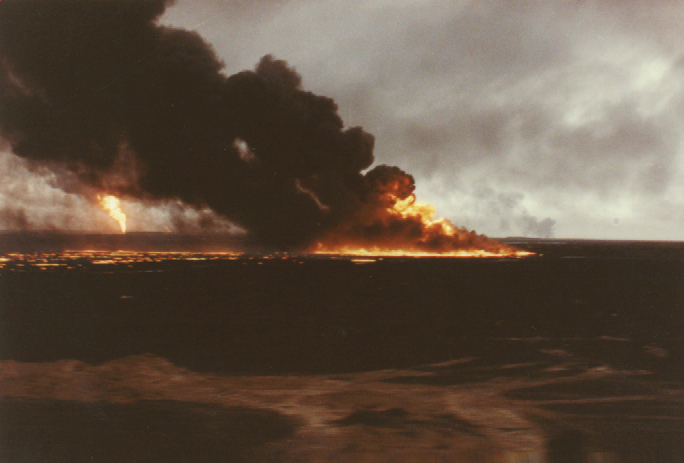 Here is just one of the oil fires left by Iraqi soldiers. 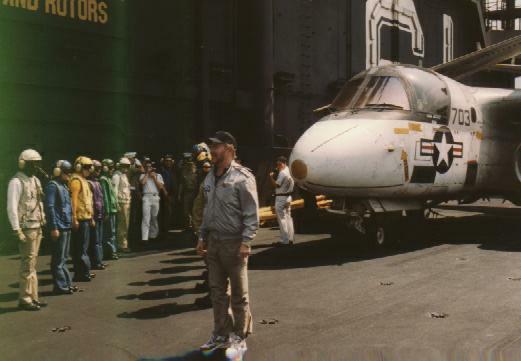 Congressman Robert K. Dornan inspecting the air crew aboard the USS Ranger. 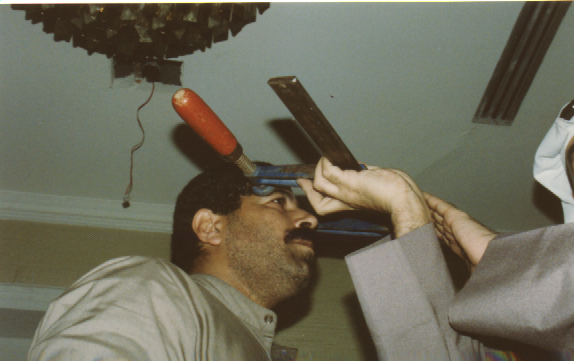 Another torture device used in Kuwait. 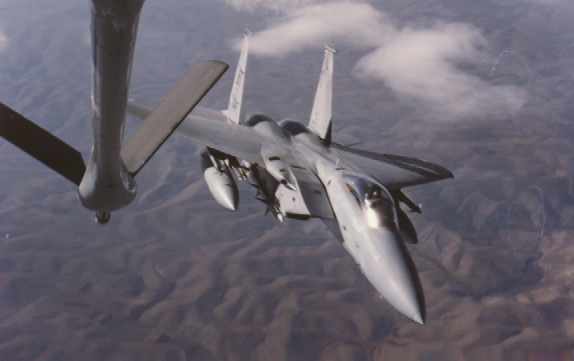 This shot was taken from within a fueling craft by the Congressman's son, Mark Dornan.